Sicily, and particularly the city of Sicily, has a great tradition in the production of food and wine, especially as regards local bakery. 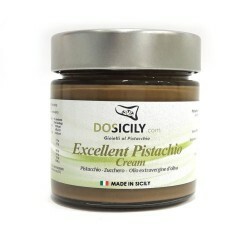 Typical pistachio products provide a wealth for the Italian territory, which has a value of affirmation and attraction from foreign countries. 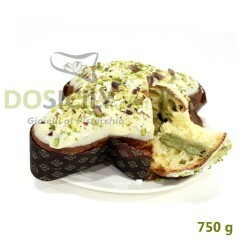 The value of the local confectionery of pistachio and of typical foods and wine, have always been the center of attention for the chefs of the Italian cuisine and for those housewives who love the creations of this kind of unique dishes. 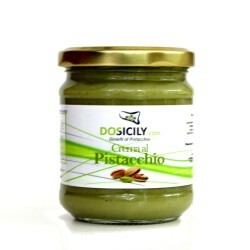 The pistachio is a mixture of gastronomic and cultural tastes and flavors to be discovered. 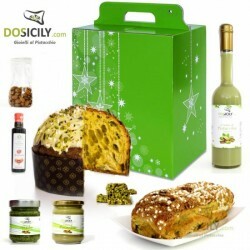 DOSicily.com with its traditions that represent the company, presents an exclusive range of products, such as pistachio cream, the famous pistachio pesto sauce, pistachio pastes and cakes. Handcrafted of pistachios from Bronte There are 8 products. The famous pesto has a fresh taste and an aromatic flavour that enhances the unique and unmistakable scent of our pistachio. The real secret to obtain a delicious pesto is to use high quality pistachios, such as those proposed in our "natural pistachio". For those who want to enhance the taste of their palate, they must taste the green pistachio pesto sauce, available in this category. The perfect seasonig for fresh pasta, that you can enjoy even spread on slices of toasted bread to be served and enjoyed with friends as the only stimulating appetizers. 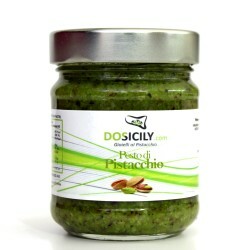 Pistachio Pesto is a sauce made with pistachios, Sicilian green gold, so good and tasty to be inserted between the slow foods of Sicily. The pistachio is always used in the best recipes to flavour first courses, appetizers and roasted meats, in confectionery to enrich cannoli, cream puffs and pastries. You can use pistachio sweet cream to stuff homemade cakes and to decorate and fill cakes. You can savor it alone, even better on biscuits, or spread on bread. If you want , you can also enjoyed it as a parfait, and have the opportunity to savor with your hands this cream of heavenly quality, to have a moment of real and infinite sweetness with your loved ones or friends. This cream tastes so sweet that your spoon will become soft and light. The unique and delicate taste of our pistachio cream makes this an unusual and elegant dessert. You can use it as a base of cakes and parfaits. The pistachio cream is perfect to fill even the cream puffs, and can be purchased in quantities of 1kg and 5kg in the section of finished materials for bakeries , ice cream parlors and restaurants. We can only say: “good snack”! Fantastic pistachios, for the two-years production, Bronte that lies on the “Sciara del Fuoco”, from its green colour territory seen by satellites, as the pistachio from that flavor so exquisite and sweet. Finding fresh pistachios already peeled is not easy, but the search will be rewarded by this amazing cake delight. 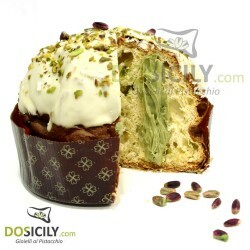 The famous Pistachio cake is one of the best-known and good Sicilian pastries. You can eat after lunch, after dinner, at breakfast or even when you want. This pistachio cake is a delight for the palate and for your eyes. Do not taste this pistachio cake at least once, would be a shame.